In late January 2018, White Point Beach Resort hosted the 2nd Annual Salute to Sable Island Weekend. The first Salute to Sable Island was held on January 28 & 29, 2017. Initiated by the White Point Beach Resort, the Salute was a co-operative effort between the Friends of the Green Horse Society, Parks Canada, and White Point. Guest speakers included members of the Green Horse Society and Parks Canada personnel. It was organized to celebrate the establishment of the Sable Island National Park Reserve, Canada’s 43rd national park, and to raise funds in support of Green Horse programs, including surveys of the distribution and foraging activity of the island’s bees. The 2018 weekend event was again a collaboration between the Friends of the Green Horse Society, Parks Canada, and White Point Beach Resort. However, since the Green Horse Society is now involved in the establishment of the Sable Island Institute, the 2018 Salute to Sable Island was an opportunity to introduce and support the new organization. Speakers were Alannah Phillips, Dan Kehler, and Charles Burke (Parks Canada); Barry MacDonald (Nova Scotia Lighthouse Preservation Society); Zoe Lucas, Andy Horn, Tim Fraser, and Susan Tooke (Sable Island Institute); and Institute friends Janet Barkhouse and Susan Crowe. Darlene Norman, Recreation/Special Events Manager, White Point Beach Resort. “We are intrigued by your existence and all the living things connected to you; you have been a seafarer’s nightmare and a nature lover’s dream; you hold mystery and you hold answers; we are going to learn how we can assist with your future and become knowledgable about your past; we will begin to understand the fragility and the strengths in the relationship living materials have to you and to one another; we will be enriched by the music, literature, and art created because of you; our connections to you, Sable, will grow stronger thanks to those who share their connections with us”. Alannah Phillips, Manager, Sable Island National Park Reserve, Parks Canada. Alannah presented an update about the development of a management plan for Sable Island, what this means for the island and how the public can be involved. She also shared some highlights of island events and operations during the past year. Dan Kehler, Acting Park Ecologist, Parks Canada. Since late 2016, Dan has been involved in study and monitoring of the ecology of Sable Island. He provided a review of some ecological relationships on Sable Island. Charles Burke, Senior Archaeologist, Archaeology and History Branch of Parks Canada. Over the past year Charles has spent seven months in the field conducting archaeological digs in various provinces, but Sable Island is among his favourites. He reported new finds on the island. Barry MacDonald, historian and Past-President, Nova Scotia Lighthouse Preservation Society. The role of lighthouses on Sable Island—the Graveyard of the Atlantic—cannot be overstated. The two lights, Sable Island West End established in 1872 and Sable Island East End established in 1873, are no longer in service, but have a storied past. Barry reviewed the historical and cultural legacy of the lights and their keepers. Set up in the Lounge was a Sable Island Touch Table with an assortment of natural and manmade artifacts from the island (Sable Island Institute), and a ‘Green Screen’ for taking ‘virtual’ photos on Sable Island (Parks Canada). Guest Speaker, Zoe Lucas, President, Sable Island Institute. Sable Island has been the focus of human interest and activities for over three centuries. Settlers, fishermen, mariners, shipwreck victims, lifesavers, naturalists, scientists, artists, journalists and visitors have explored, survived, studied, and otherwise experienced the island. For many, their fleeting or long-term encounter with the island was memorable. Zoe shared stories highlighting some of these relationships and their role in Sable Island’s history and community. 9:30-11:00 pm: Live entertainment in the Lounge. Andy Horn, ornithologist, Adjunct Research Associate, Department of Biology, Dalhousie University. Andy, a founding member of the Sable Island Institute, introduced the new multidisciplinary organization, outlining its role in preservation of the natural and cultural legacy of Sable Island through research, conservation, and education. He explained the central role of the Green Horse Society in establishing the Institute, and provided an overview of the Institute’s current and future programs on and off the island, including public outreach and citizen science projects. Timothy Fraser, geneticist, Forensic Sciences Program Coordinator, Department of Biology, Saint Mary’s University. Tim studies genetics and how they impact animals in their choice of mate, reproductive success, health and population of animals. He summarized some of the research that contributes to an understanding of the dynamics affecting the sustainability of the Sable horses and other wildlife. Three artists who have spent time on Sable Island—Susan Tooke, visual artist; Janet Barkhouse, author and poet; and Susan Crowe, singer-songwriter—participated in a panel discussion about the island and the arts. Through an illustrated presentation about the creation of images for her book Free as the Wind, Susan Tooke explained how her relationship with the island has influenced her art and interest in environmental conservation. Janet Barkhouse shared how her field work on Sable and stories her mother shared with her, have informed and inspired her writings, including her most recent work, Sable Island Fieldnotes, a book of poetry. Susan Crowe, a highly regarded Canadian folk singer-songwriter and musician, discussed how her Sable Island experience, an enduring depth of feeling and connection, has been expressed in her writing. 11:30 am: Special Screening of Stronghold of Resistance: Sable Island & Her Legendary Horses. Drew Doggett, photographer, director, and producer. Drew’s work focuses on the extraordinary stories of places, objects and cultures at risk of disappearing. His work is held in private and public collections globally, notably the Smithsonian’s National Museum of African Art. Drew traveled to the island twice. His short film, Stronghold of Resistance: Sable Island & Her Legendary Horses, was created in 2016 during his second trip. The film explores the cycles that make this strip of land a self-sustaining system where the wild horses have managed to thrive. Fibre artist Suzanne Gunn loaned several of her exceptional Sable Island rug hookings for exhibition during the event. Generous donations from sales of photographs and books by Damien Lidgard and Janet Barkhouse contributed to the funds raised for the Sable Island Institute. Susan Crowe’s donation of copies of her “Greytown” CD (which includes some Sable-inspired lyrics in the song “Boy on a Bicycle”) was greatly appreciated by guests. Thanks to Christine Benoit (Parks Canada) for her help with organizing the event and for managing the ‘Green Screen’. White Point reported that comments left by guests indicated that the themed, closely related speaker topics were an effective mixture, and the arts component, the final presentation of the weekend, was once again well-received. 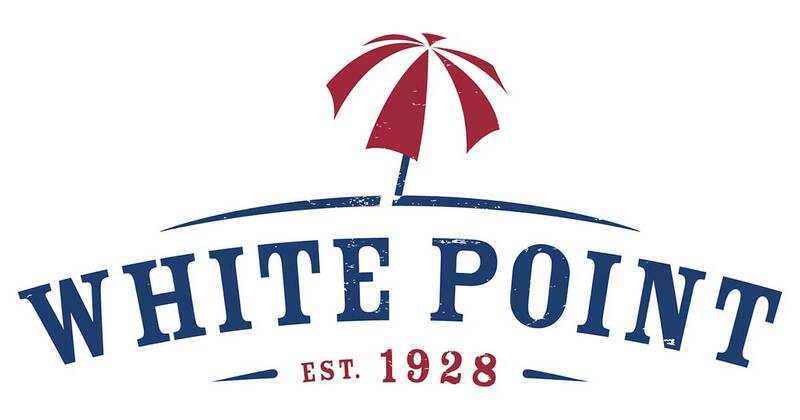 The Sable Island Institute and the Friends of the Green Horse Society thank the White Point Beach Resort for its continuing interest in, and support for, Sable Island. The enthusiasm, energy and warmth of White Point personnel ensure that the Salute to Sable Island is a special ‘Sable experience’ for all. White Point Beach Resort in winter, a view from the beach at low tide. Photo White Point Beach Resort.